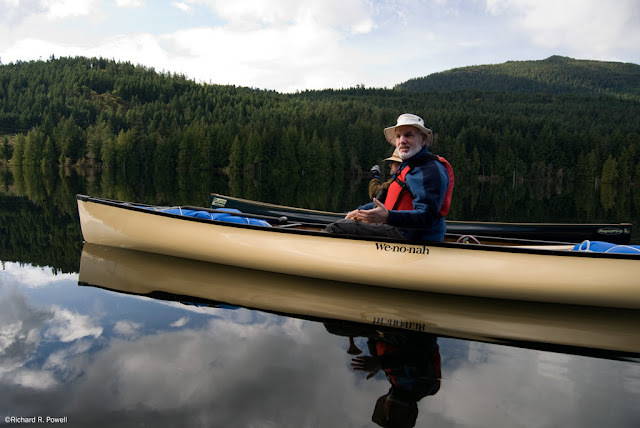 I'm often asked which lakes in Nanaimo are nice to paddle, and for a long time I have hesitated to give an answer because my ideal type of lake is one with minimal human impact or long stretches of wilderness -- qualities hard to find near centers of human habitation. But paddling any water is better than paddling none, so here I try to temper my own ideals and sort out the best quiet water paddling in the city. 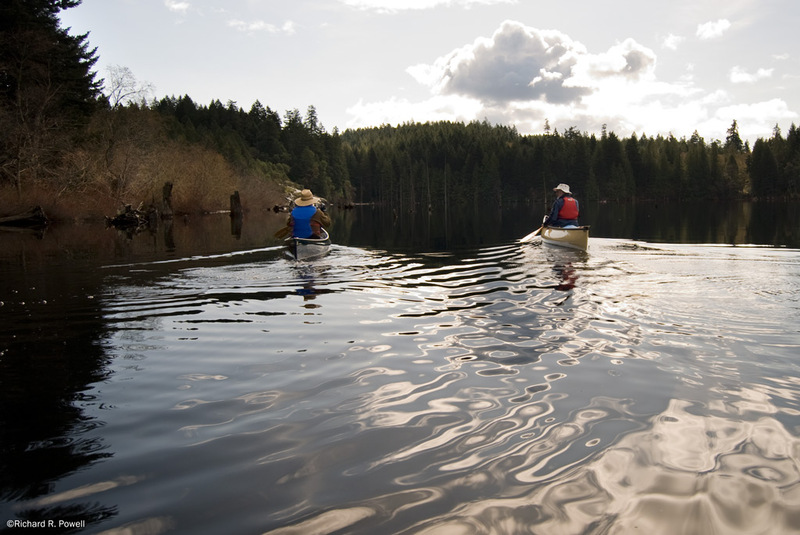 There are more than 18 lakes within or near Nanaimo that can be paddled, but only 5 of them have easy access. 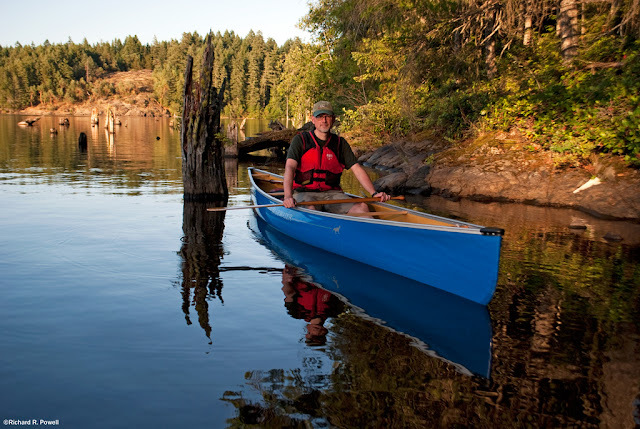 This post devotes photos and a few paragraphs to each of the main 5, with additional photos and text on 4 of the other lakes that are worth paddling, even though access is a bit more difficult. Of the 9 I devote space to here, only 3 are really satisfying to a paddler with my aesthetics, and of those 3, only 2 really hold my imagination in the long term. So bear my bias in mind as you read, and feel free to disagree with me in the comments section below! At the end of the post is information on local lakes which, for various reasons, I can't recommend. 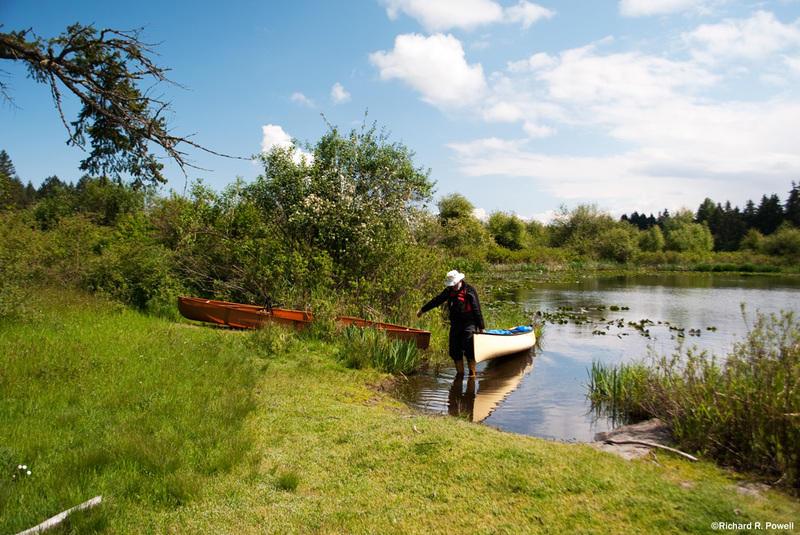 Here are the 18 potentially paddle-able lakes in alphabetical order. I will highlight the 5 easy access lakes in yellow and the other four that are a little harder to access in green. Brannon Lake has a great parking area, boat launch, and adjacent sandy beach.This is good for launching a canoe, but also good for launching all sorts of other boats. Brannon is a favorite for wake board and water ski boats, as well as sea-doo operators, so expect noise (including boat stereos with rap music) during the summer months. If you stick to the shore you will be out of the way of the "go fast" gang because of fairly dense weed beds. The southern and western shores are fairly scenic with a nice rural feel. Fish of some kind were rising in the weeds the day these photos were taken. 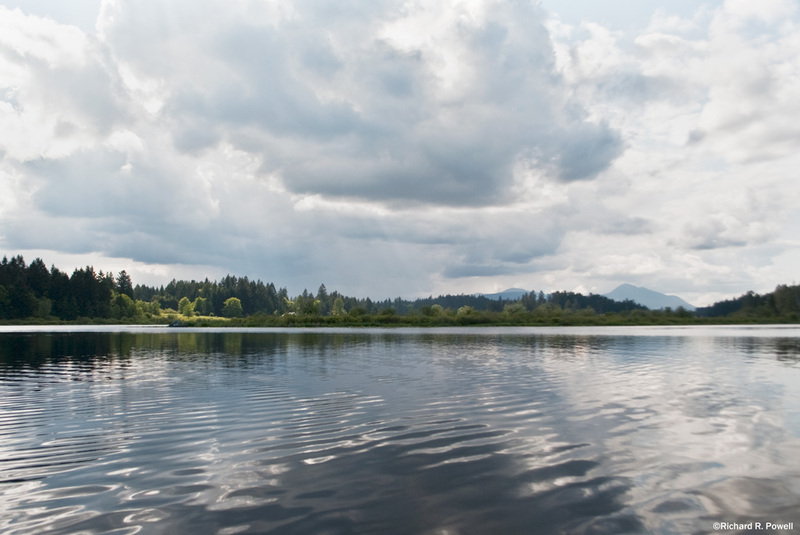 The lake is often subject to wind, but can be calm and serene after a rain. 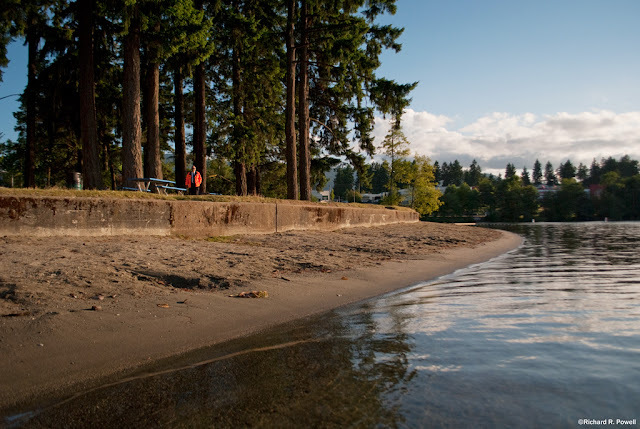 Divers Lake has a great parking lot close to the lake with a sandy beach and a nice little bay that is protected from southerly winds. The above fishing pier is a little way past the put-in and there was a dead trout floating beside the dock the day I was there. There is an informative video about the dock here: http://www.youtube.com/watch?v=sX7LmsVBi4s The pier cost $21,000 and affords easy access to some of the 300 trout that are released into the lake each year. 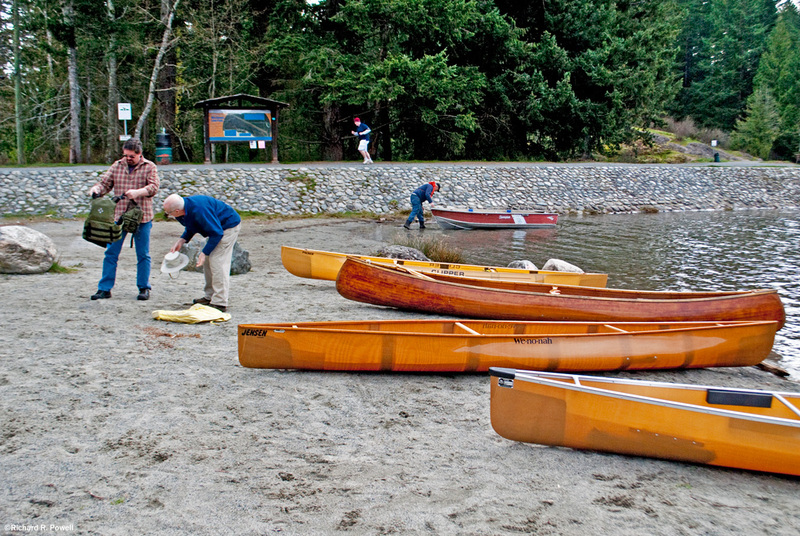 Divers is worth paddling for the wildlife and relatively unspoiled shoreline. There has been a bit of human activity in the past, but unlike Green Lake which has similar habitat and is a similar size, the intrusion onto Divers Lake from nearby homes and yards is virtually non-existent or in serious disrepair. Two new buildings are under construction, however, so the wild-like quality of the lake may soon disappear. Dilapidated dock and new construction in the background. For sedge benders, this is a pretty idyllic little lake which suffers only from nearby traffic noise and the loud speaker from a nearby car lot. Still, you can't beat the accessibility and lack of power boat activity. Green Lake has a fairly good gravel parking lot and a satisfactory put in, though it is the most rustic of the easy access lakes in Nanaimo. A little larger than Divers this pretty urban habitat share's with divers the plague of thousands of invasive bullfrogs. As you paddle around the lake you will hear them squeaking and calling and despite their profusion and voracious habit of consuming every living thing they can fit in their mouths, they are rather handsome little devils. 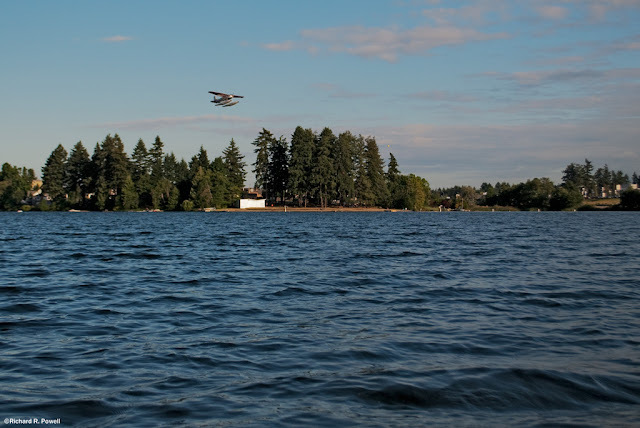 Green Lake is surrounded on all sides by houses, man-made openings in the shoreline, wharves, and walkways. 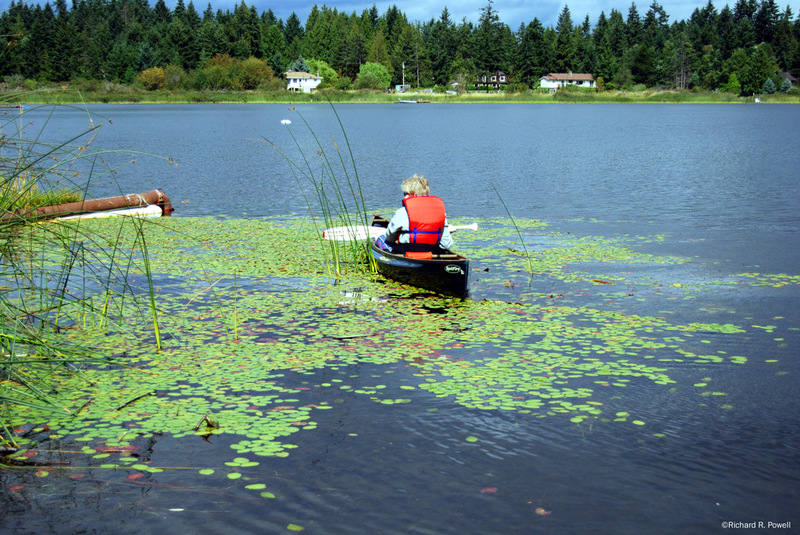 The abundance of shoreline human activity on Green Lake reminds me of Fuller Lake in Chemainus but more on the marshy side of the spectrum and less gentile. Like Green Lake the shore of Long Lake is dominated by human presence. 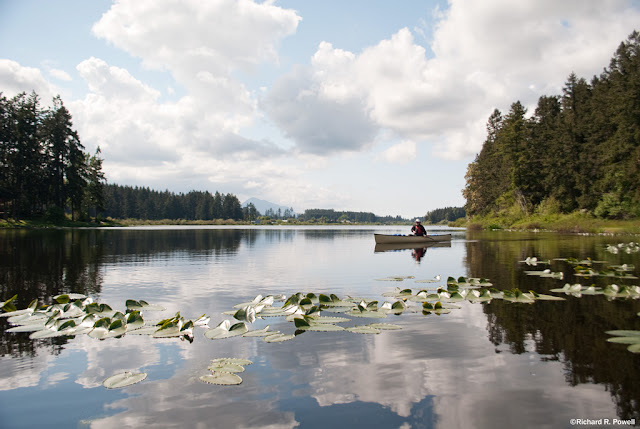 If you like paddling past million-dollar (and multi-million dollar) homes and docks crowded with expensive boats, sea-doos, and float planes, this is the lake for you. If you are looking for natural shoreline with wildlife and interesting habitat, you will have to look pretty hard to find it. One of the more amusing aspects of Long Lake is captured in the above photo. Many houses on the lake have sleek expensive power boats and/or Seadoos and right beside them ugly, poorly designed, cheap plastic canoes and kayaks. It is clear that for these folks the world of quality self propelled water craft is not even on the radar. The day I took these photos this plane took off, several power boats zoomed around and there were two Sea-doos towing inflated rings behind them with lots of shooting, laughing, and hand waving. It was like a Mad Magazine cartoon to me, but obviously lots of people like this kind of fun. As I cruised along the shore returning to the boat ramp I crossed the buoy line that marks the swimming area to take a picture of the curve of beach. Within seconds the park security was heading my way. No boats inside the swimming perimeter I guess, even when no swimmers are in sight. I backed out and paddle around. The man has to do his job and I don't begrudge him taking it seriously. On such a busy lake I guess there have to be lots of rules. It pained me a bit to think that many people are introduced to canoe and kayak paddling on this lake via the Nanaimo Canoe and Kayak Club's activities. Not that I am critical of NCKC. They are doing what they like and doing it well. 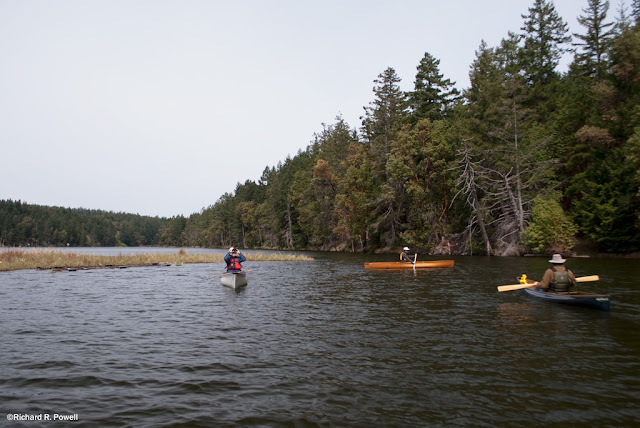 But for someone like me, a connoisseur of a different kind of paddling experience, Long Lake has all the attraction of a shopping mall parking lot -- and I mean that in the worst possible way. Racing canoes and kayaks amid power boats and airplanes just feel stressful to me. I paddle to relieve stress, but I know that many others paddle to get the adrenaline pumping. Still, after most daytime guests have left the lake and the sun is descending to the horizon, the careful paddler can find calm and beauty even among the garish opulence of a heavily urbanized lake like Long Lake. 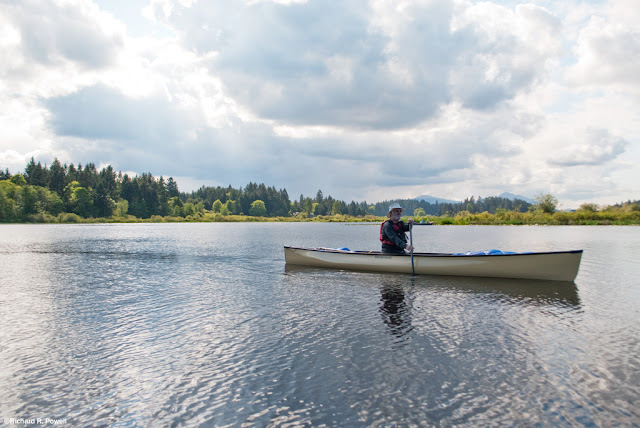 Westwood Lake is my favorite lake to paddle in Nanaimo because it combines a wide wonderful sandy ramp for launching with several kilometers of shoreline featuring intermittent forest, sandy beach, and rocky promenades. 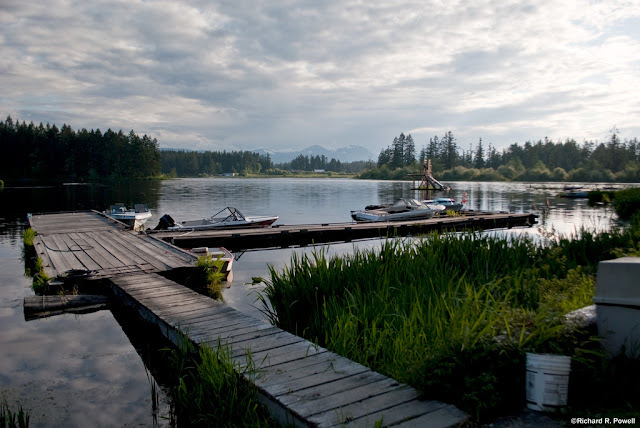 Westwood Lake is heavily used by swimmers (a long sandy beach), anglers (lots of fish year round), and recreational paddlers. 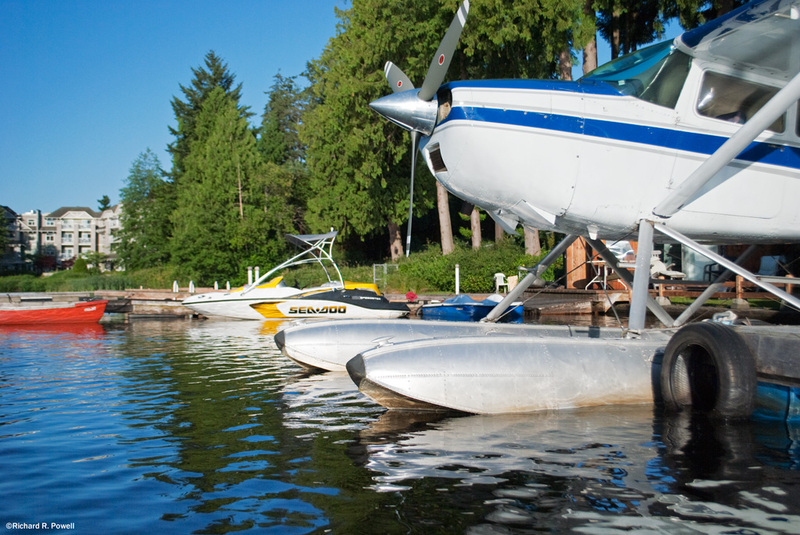 A ban on gas motors means the boats that are on the water are quiet. It is also a little higher than most of the other lakes in Nanaimo, and therefore more subject to icing over in the winter. This is meliorated somewhat by it's size and depth. Collier Dam, for example, will often freeze over sooner, even though it is 100 meters or more lower in elevation. One of the great things about Westwood is the overhanging tree branches and rocky outcroppings along the shore. In many places you can paddle along right beside the trees, in fairly deep water. But be careful, there are many snags in the water that are just below water level. I have run up on a few over the years. 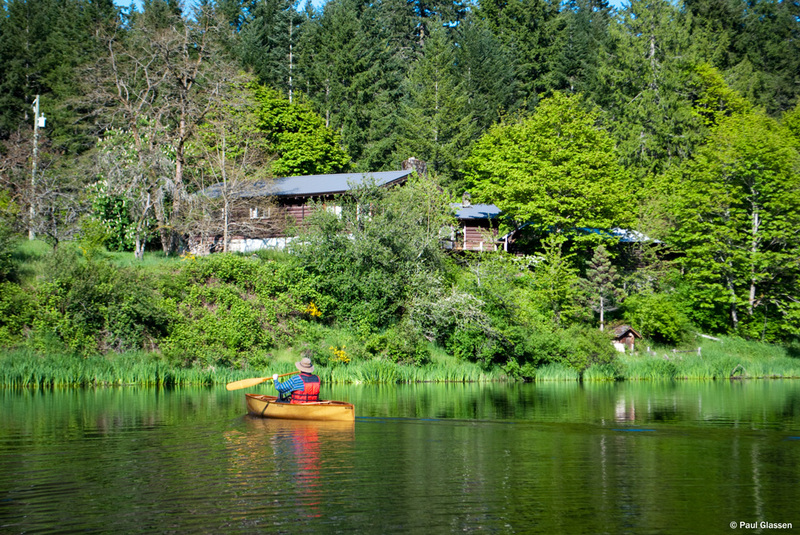 Enos Lake is surrounded by private land in Nanoose. You have to carry your canoe down a fairly long road (25 meters) in order to access the lake. While we were paddling the lake we chatted with some folks on the shore and one local fellow said, "I didn't think canoes were allowed on the lake." But there were no signs indicated that it was not allowed. 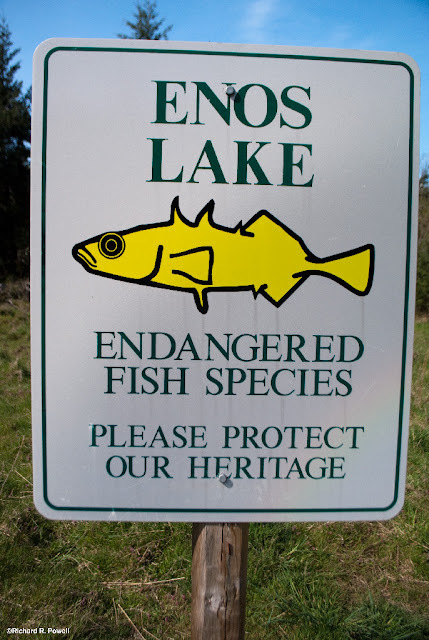 The Lake is special in part because it is the home to an endangered species of Stickleback known as the limnetic Enos Lake stickleback. This curious looking fish lives nowhere else except in Enos Lake. It is threatened by development and the introduction of non-native species to the lake. 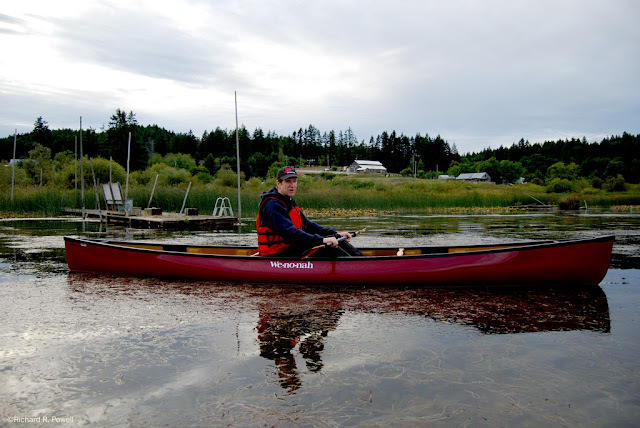 I can't see how gentle paddlers on the lake could negatively effect the little fish, but still, it might be something to consider in the long run. Given it's proximity to Nanaimo (about a 20 minute drive) and given it's remote feel, I expect more folks will want to paddle this lake. The owner of the surrounding land has applied to develope the area, and seems to be proceeding with a responsible degree of public consultation, so I am hopeful this unique resouce will get the respect and protection it deserves. Holden Lake is boardered on the Eastern side by Hemmer Provincial Park. The Provincial Park website description lists canoeing as one of the activites in the park, but the portage from the park parking lot is a long one (about 300 meters). Alternatively the lake can be accessed from Bean Road off Holden Corso Road. At the bottom of Bean Road there is a small parking spot and a short muddy walk to the water. Beware of dogs at this location as the place is swarming with them. They didn't bother me the time I visited, but there sure was a lot of barking -- some from behind fences, some from up the hill on the road. On the lake you feel pretty peaceful -- it is mostly surrounded by the park on one side and large stretches of farm land on the other. 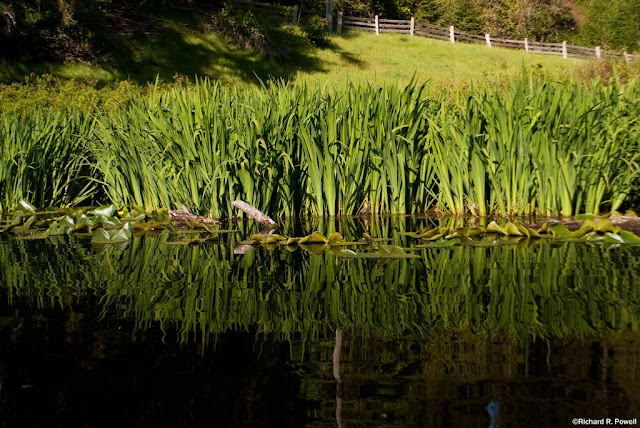 I also came across a curious water plant while paddling the lake. Does anyone know what this is? 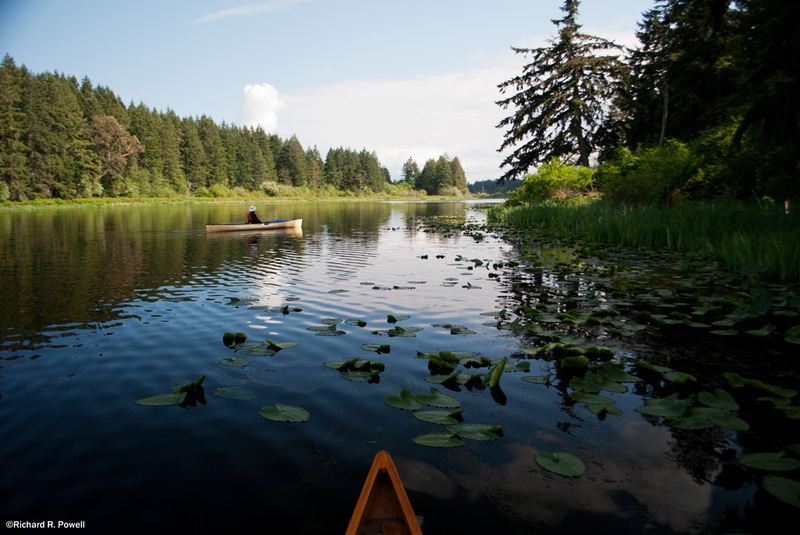 Quennel Lake is somewhat of a hidden gem in Nanaimo. 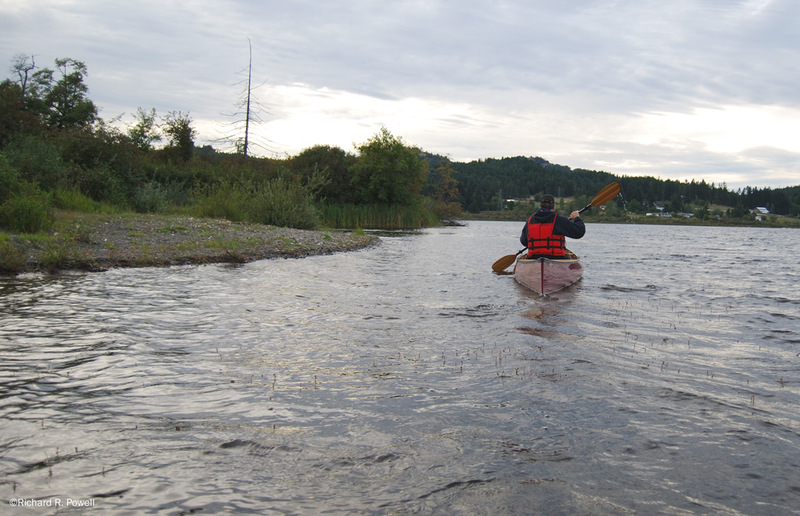 Access is relatively easy if you have some pocket change, or difficult if you just don't like paying to paddle on public water. The only really convenient way to access Quennel if via the ZUIDERZEE CAMPGROUND & RESORT. The good folks at Zuiderzee will charge you a small fee for the privilege and it may be worth it. 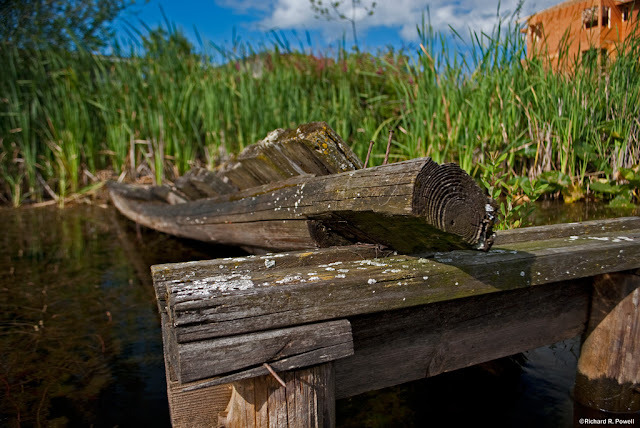 Aside from their floating dock, they have a wooden ramp into the water that is really very nice for launching a canoe. There is one other put-in for the lake located on Ritten Road, which is off of Yellow Point Road. The ramp here is rutted, muddy, and has steep and bushy sides making it difficult to launch without getting very muddy. There are often trucks and trailers parked all around the ramp. I'm not sure who's jurisdiction this ramp falls under, but given the extensive use it receives I would suggest that several tons of clean fill, gravel, and maybe even cement be dedicated to improving this launch spot. The Lake is a collection of connected chanells roughly in the shape of a Y next to an H or two H's next to each other. The large central island has one house on it and a short road, very rural looking and scenic. There are some nice open stretches of water and the vistas in all directions feel expansive and cultured, like I might imagine a lake in Europe would feel. There are not many places to take out and have your lunch, but there is one on the most westerly chanel. The house directly accross from this spot, however, is inhabited by vigilant residents who must have seen a lot of shenanigans over the years as they are quick to run off anyone who doesn't seem to be fully respecting the fact that the land around the lake is private property. There are a good number of houses on the lake, but unlike Green or Fuller there are still long stretches of pleasant farmland, forest, and marsh. I'm not sure what the actual linear dimensions of the shoreline is, but it is quite significant and there are many little bays and corners filled with lilly pads and bull rushes. Many of the houses that are visible are quaint or well healed into the surrounding landscape and the folks we encountered on the eastern side of the lake were very gracious and friendly. There was a nice feel of neighborly contentment. Of all the lakes in and around Nanaimo, Quenell is by far the most varied in scenery, diverse in habitat, and charming in character. Note that at certain times of the year the lake can be congested with anglers due to fishing derbies. 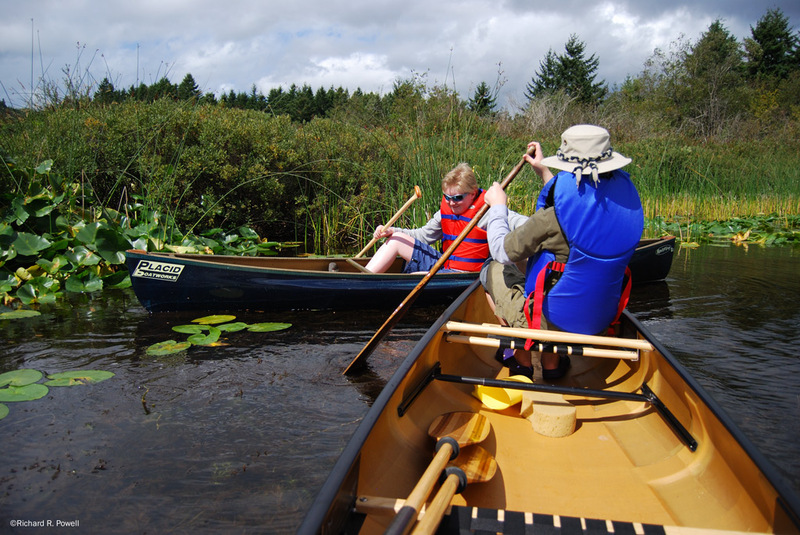 Collier Dam Park has two lakes, both accessible to the canoeist. I have previously posted about these little lakes so please see that post for further details. Beck Lake -- If you look hard you will find access to this lake just south of Nanaimo. Access is through a landscape that harkens back to the coal mining years and a 4 wheel drive vehicle is recommended. 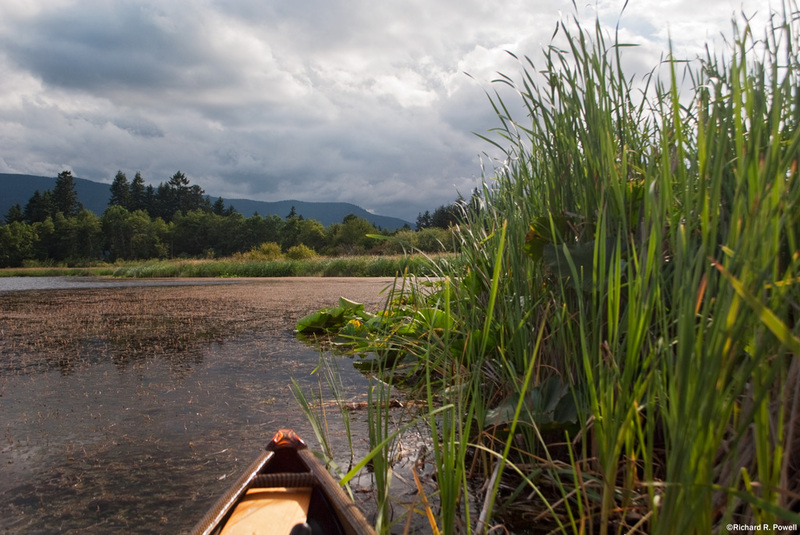 I've visited this lake on two occasions, once with my canoe on my roof rack, but both times have gone elsewhere. Blind Lake -- There is direct road access to this small lake off of Nanaimo River Road. 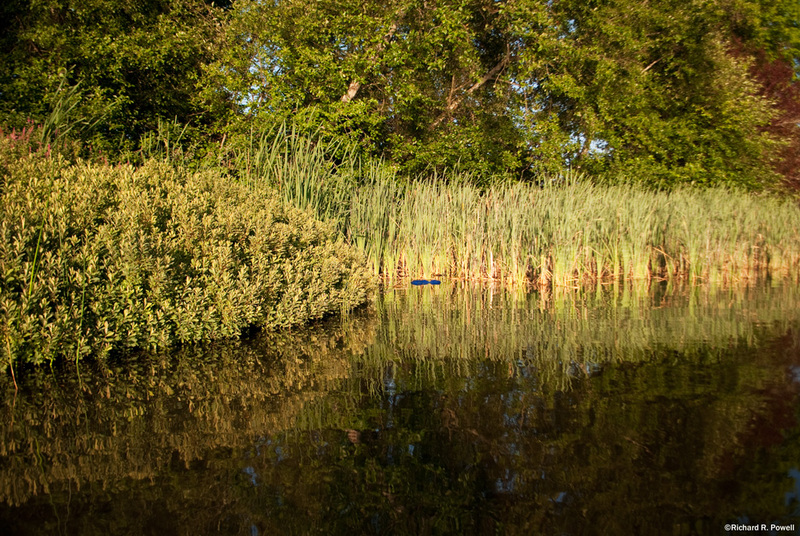 Because of it's size and relatively uninteresting surroundings, I have not included Blind Lake in my photo log. Cathers Lake -- There is access to Cathers Lake on the Northern end. Because the lake is surrounded by houses, some of them pretty close to the water, it felt like I would be paddling in everyone's back yard, so I did not launch. Harewood Lake -- I have so far not found public access to this lake. Priest Lake -- I have so far not found public access to this lake. McKay Lake -- This gem of a lake is currently on my "unknown status" list. I have seen it advertised for sale online, and like with other Timberland and Timberwest lands, access is uncertain from one season to the next. I have visited it in the past and found it charming, but not within the last few years. There are large no trespassing signs on the road into nearby Timberland Lake, so I would not be surprised if McKay has suffered the same fate of too many rowdies tearing up the place to allow continued public access. Michael Lake -- This south Cedar lake looks interesting on the map, and I have gazed upon it from afar, but have so far been unable to find access to the water. Richard Lake -- access to this Cinnabar Valley lake is uncertain. I have visited it several times looking for access and each time have felt that near water locations may be private property, so I have not ventured further. 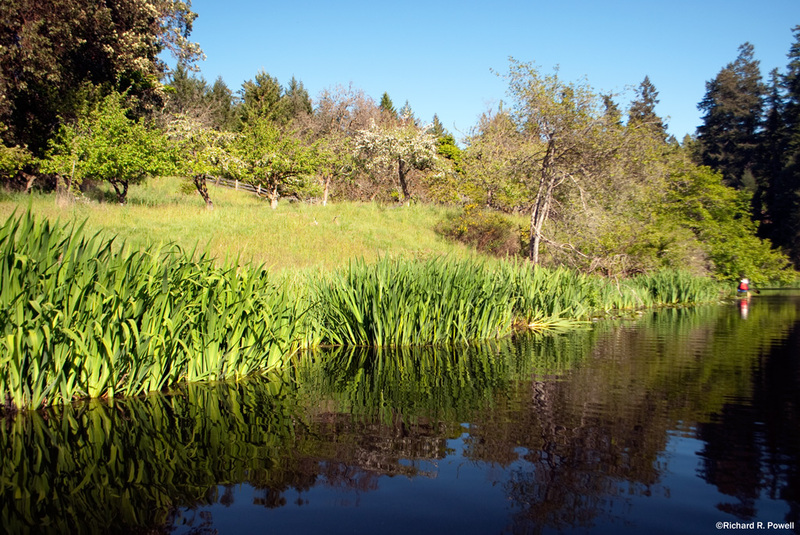 It is a pretty little spot with lots of fish rising, but also near a dirt farm, so I would not go on a windy day. Witchcraft Lake -- This hidden lake on the slopes overlooking Nanaimo is small and covered with dead-fall. There is a nice bridge across the lake, but I have not explored the area enough to confirm a good place to launch a canoe. 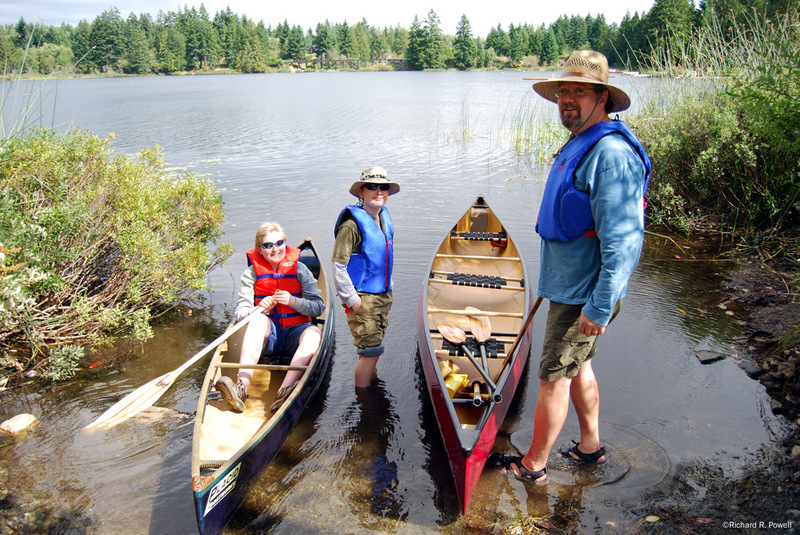 Long Lake in the Ladysmith Eco Reserve -- Would require a long carry (200 plus meters) and I am uncertian if watercraft are allowed on the lake. If they are, it might be worth it as it is a beauty. Morrell Lake -- Within the Morrell Sanctuary and a long hike past the gate. I plan to ask the Sanctuary folks about paddling this lake some day as I walk past it on longer walks from my house and it calls to me often. Myles Lake -- I have not tried to visit this lake. Stark Lakes -- I have not tried to visit these lakes. Overton Lake -- I have not tried to visit this lake. 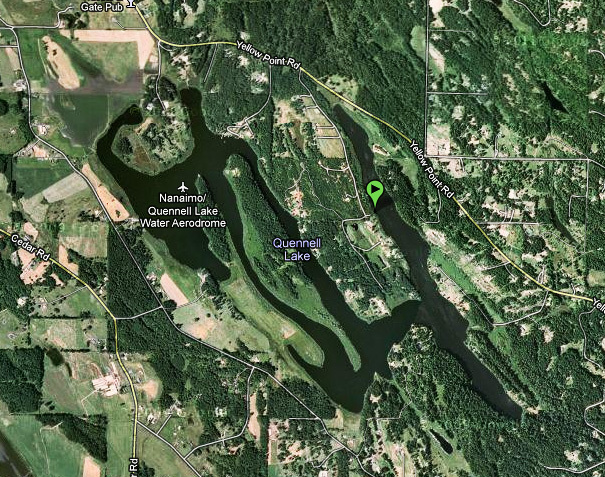 Whiskey Lake -- looks interesting on Google Earth, but the access seems pretty convoluted. Maybe someday I will give it a try. 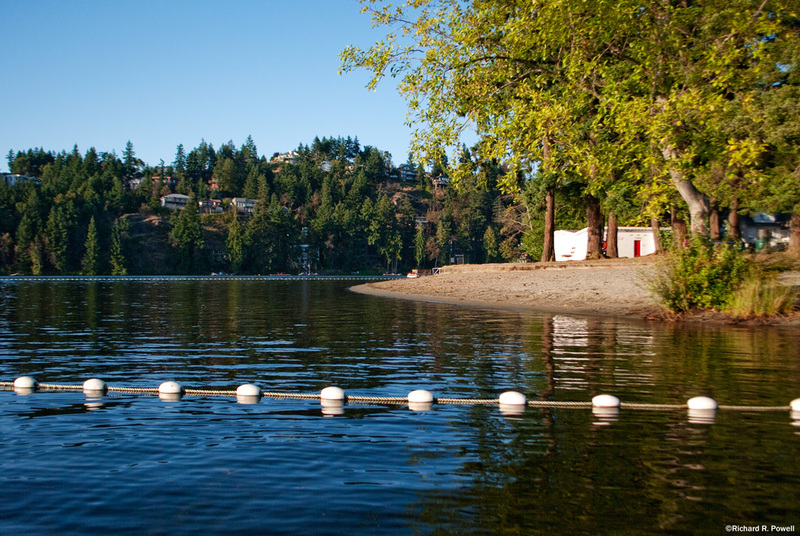 Public access to Michael Lake is off Prospect Drive. After turning left onto Prospect from Wagon Wheel Drive, continue 1.4 kms to a dip in the road. There is a small sign to indicate a straight trail maybe 100 meters down to the lake. It's a marshy lake mostly surrounded by farm land. I believe the "curious water plant" is Iris pseudacorus (paleyellow iris; yellow iris). Its hard to tell from the photo but It is definetly in the Iris Genus, Iridaceae (Iris Family). 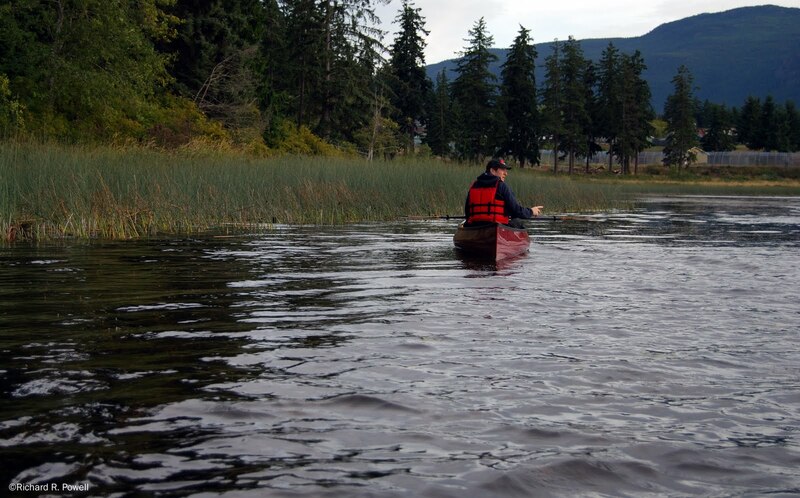 Hi, thank you for a well written and well researched piece about the lakes in and around Nanaimo. I stumbled upon your site when I was looking for the sizes of the lakes ie. acres? This too would be good info if you have it. Also, just a note it is very hard to read the print under the Yellow and Green highlighted areas. Maybe a lighter shade? Anyway, very informative and nice photos. 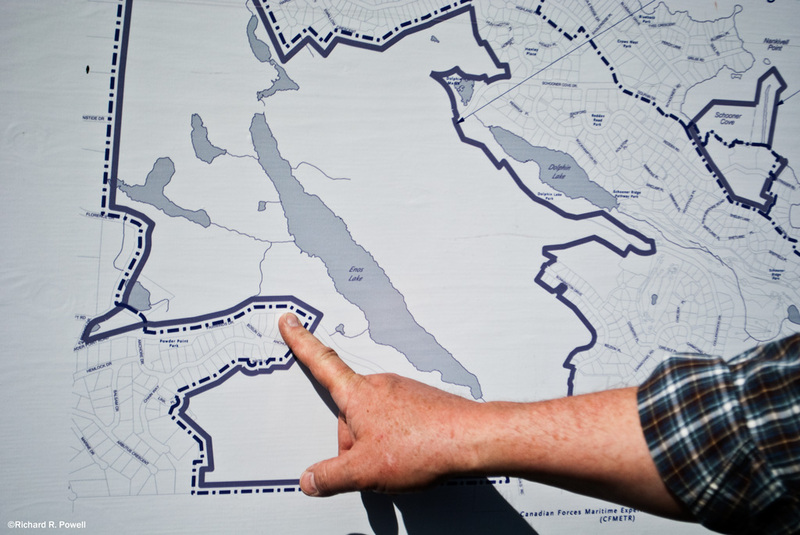 You'll need to register on the site, they supply survey maps as PDF's for almost all the lakes in Canada. very informative, thank you. 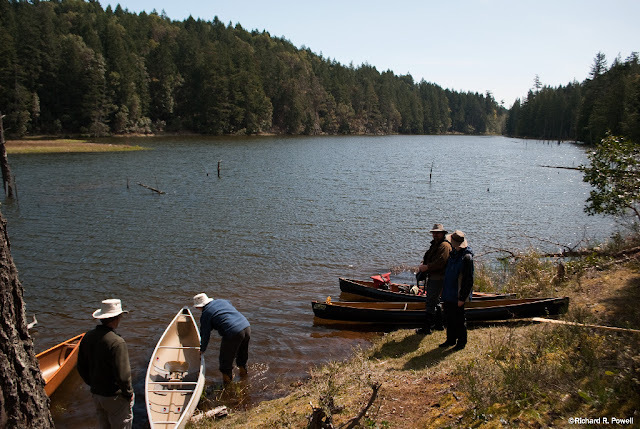 i didn't know about enos lake at all, and thanks to your commenter, now know a way to michael lake, which looks quite unspoiled. i second the request for a change to the highlight colours. access to holden lake can also be had via tiesu road -- coming from cedar, just at the edge of the far park boundary, before the road takes a strong right turn, is what looks like a dark driveway on the left. the first thing you see is a huge "NO TRESPASSING" sign on the right, but if you look left from there you can see official park signage; the no trespassing only refers to the property on the right. i suspect the owners have put the sign there to discourage any traffic going through at all -- i imagine that works, since i've only ever seen local anglers there. it's a rough road, and i am not sure whether a car without high clearance can make it safely. there is room at the bottom for 2 fullsize trucks. the put-in is slightly sandy and stony, not as muddy as one might expect. i don't like westwood lake much anymore in the summer; with all the new development it has become very busy and noisy. though thankfully still no gas motors, but screeching children are not desirable either. 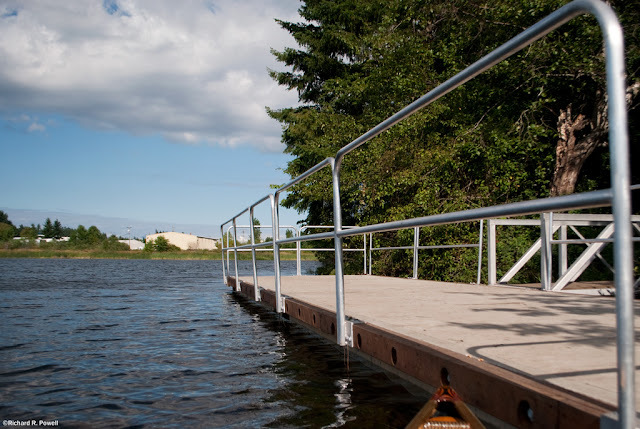 the ramp has been much reduced in size and often feels congested; i usually put in a little further down, outside of the official swimming area. Hey Piranha, this info is great. Very good news about the Ritten Road put in. I was on the lake recently, but via Zuiderzee and their launch price has gone up a bit. The other access point to Holden is welcomed as well. Westwood Lake is swimmer-noisy in the summer and the parking lot gets nuts, but it is Soooo convenient and the "no motor boats" redeems it for me somewhat. Good note though, as from September to June it is much less crowded, so maybe that is the best time to access it. Is green lake stocked 2 or 3 times a year does the bull frogs make a lot of noise during mating season thinking of moving on Geen lake how is it for mosquitos If you had a choice between Brennan or Green Lake which would be better. 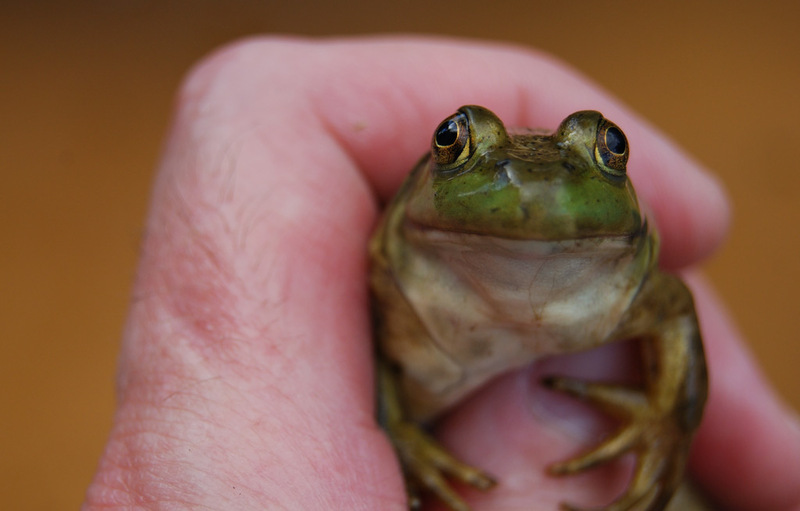 Don`t know about the noise level of bull frogs during mating season. Mosquitos numbers are higher near Green and Brennan lake, primarily because of marshy areas nearby the lakes, rather than the lakes themselves. If I were choosing between living on Green or Brennan, I would choose Brennan. But that is because I find it to be a more interesting lake to paddle. Brennan also has lots of bull frogs. Hi Richard, I note you said you have not found access to Harewood Lake and I am wondering if access has now been found? Today I took a drive to Scannel Road and followed it until I reached some farm land. As it was evening and the road was not very wide, I decided not to continue down the road. I am wondering if you have been successful? Hi Maureen, no, no success so far, but thanks to Anonymous for the note of a better launch off Ritten Road. This is indeed great news!!! hi harewood lake can be reached off godfrey rd across from fernwillow pl. hi there harewood lake can be reached from godfry rd towards the south end of the lake.there is a slot cut in the weeds plenty wide for a canoe. Access is indeed across from Fernwillow on Godfrey. Signed, an aquatic biologist who stumbled across this site while looking for swimming holes I can hike to. Thanks for all the work putting this intel together! 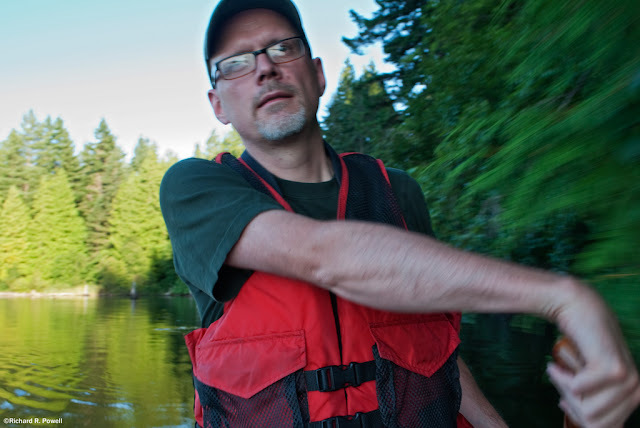 Hi Aquatic Biologist! Thanks for your comment. I think that is good advice regarding a clean boat. I actually wash my boats down, sometimes at the car wash, after each visit to a lake. I also have strong opinions about living on a lake. I don't encourage it. I think lakes are most beautiful and rewarding when they do not have developments on them. Note the tremendous popularity of Westwood lake which only has development on one side of it. 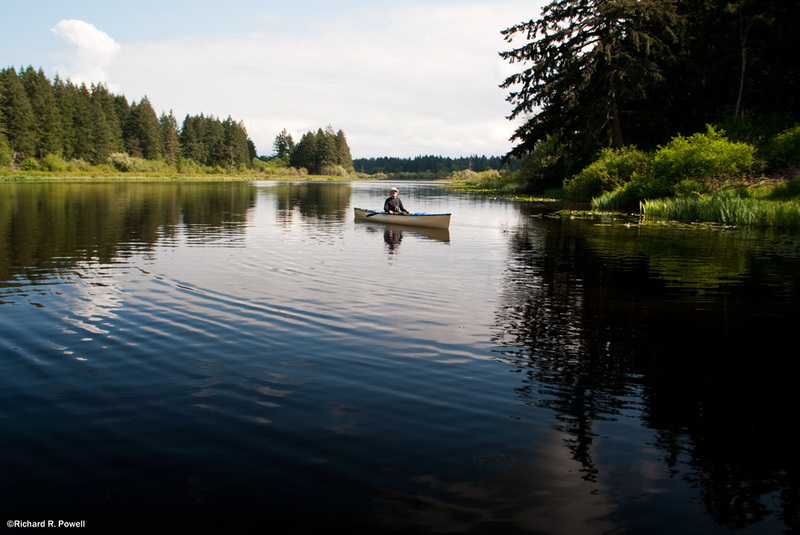 If we were to create parks around all the remaining lakes on Vancouver Island so public had controlled access, it would be the best thing ever. I actually think that making wilderness accessible to the public preserves it, where as making reserves off in the wilds somewhere that no-one sees just contributes to a general sense of ignorance about the wonders and beauty of nature. People protect beautiful places they love. Lakes like Enos are changed significantly when developments go ahead around their shores. 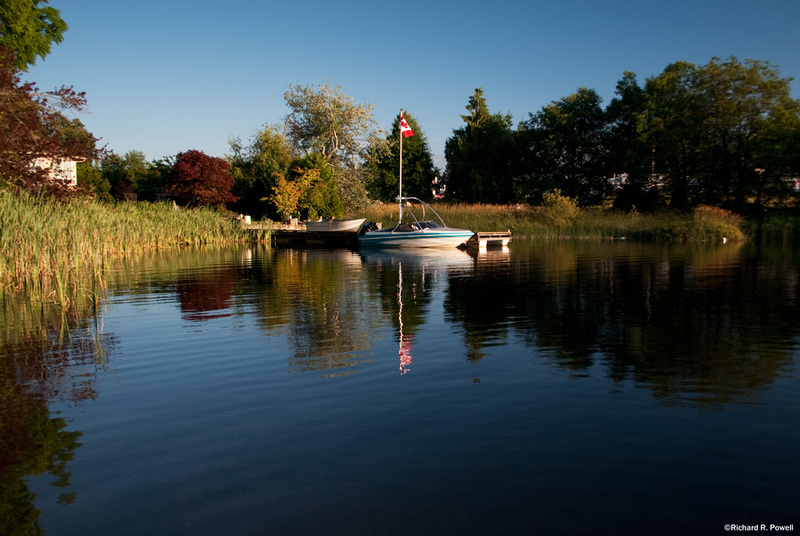 I know everyone wants a cottage on a lake, but really, it is a very elitist desire because it both spoils the natural beauty, and restricts other people's enjoyment. My soapbox!!! Thanks for adding to the conversation. kayaked yesterday on Quenell L from the public access(workable, though still a bit narrow and muddy, could do with some graveling further into the water...) to the end of first finger and intend to return to check out the island nxt time/ this being canada (in our home country in europe they've long ago learned to save -- their precious, last, remaining natural places, lakes and other places, from private ownership by granting natural protected status and regulate access AND use -- such as NO POWER BOATS!) as it is here, I guess we can, for the moment, trust the owner of the island in the western half of Quenell, to defend it against further 'development' and exploitation.Thanks for your site/ much appreciated/ in Canada we owe SO MUCH to private people LEADING THE WAY LONG before politicians step up to the plate! Hi Afiena, thanks for the comment, sorry I missed it when you made! Never the less, I appreciate your perspective and I agree that the new public access to Quenell has made it great for the general public, but such access tends to grow in on such lakes. I support the idea of greater protection for lakes, especially Urban lakes, so that future generations can enjoy them like we do.